A guest blog by Asher Goodenough, Subject Advisor for History at OCR, on the Moving Stories competition, which the Migration Museum Project ran in partnership with OCR. All images © Hugo de la Rosa Paulet. It started with a simple idea – a competition, for schools studying the exam board OCR’s new GCSE History migration themes, in which teams of students design an exhibition to go in a new national Migration Museum that our partners at the Migration Museum Project (MMP) are working to create. We launched the Moving Stories competition in June 2016 and received many excellent entries from teams across the country. 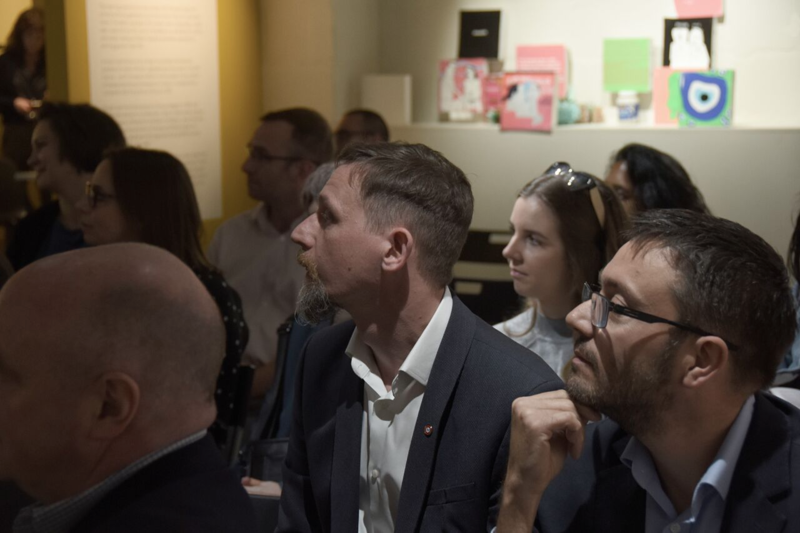 Together with the MMP, we assembled a panel of judges, drawn from the worlds of education and museums, to assess all of the entries we had received and shortlist four teams, who were invited to present their ideas to the judges and an invited audience on the evening of 24 April 2018 at the MMP’s temporary London home, the Migration Museum at The Workshop. The four finalists – teams of four year 10 and year 11 from Aylesbury High School, Framingham Earl High School, Lady Margaret School and Tiffin Girls’ School – all gave excellent presentations and, after lengthy deliberation, the judges declared the team from Aylesbury High School the winners. For the winning team, the reward for their efforts is a trip to New York this summer. For the three teams that didn’t win there was the satisfaction of having reached the final, and of having presented their ideas so brilliantly to a distinguished audience of authors, curators, politicians and campaigners. There was even a very special message to wish the teams luck from BAFTA award-winning actress Wunmi Mosaku. 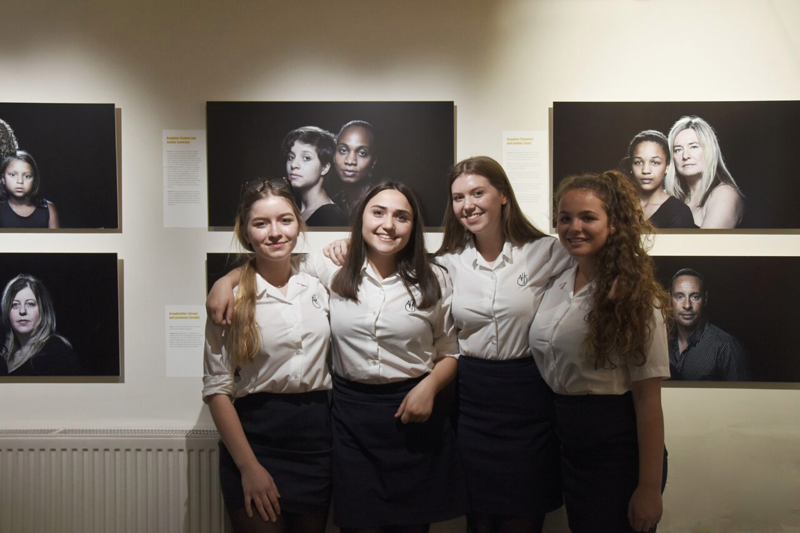 The evening was the outcome of a three-year partnership between OCR and the Migration Museum Project, which began in 2015 with the idea of an inspiring competition that would draw upon the new migration themes of the new GCSEs and afford students the opportunity of showcasing their knowledge and understanding in a creative and meaningful way. At the time, we all said it would be wonderful to be able to give the winners a once-in-a-lifetime prize of a trip to New York, but we did wonder how realistic this would be. Happily, thanks to a generous private donation, the winning team from Aylesbury High School will be jetting off to the Big Apple in July 2018, to receive a special guided tour from the Migration Museum Project’s friends at the Tenement Museum, a trip to Ellis Island, as well as visiting other sites and soaking up the atmosphere of one of the world’s most dynamic cities. 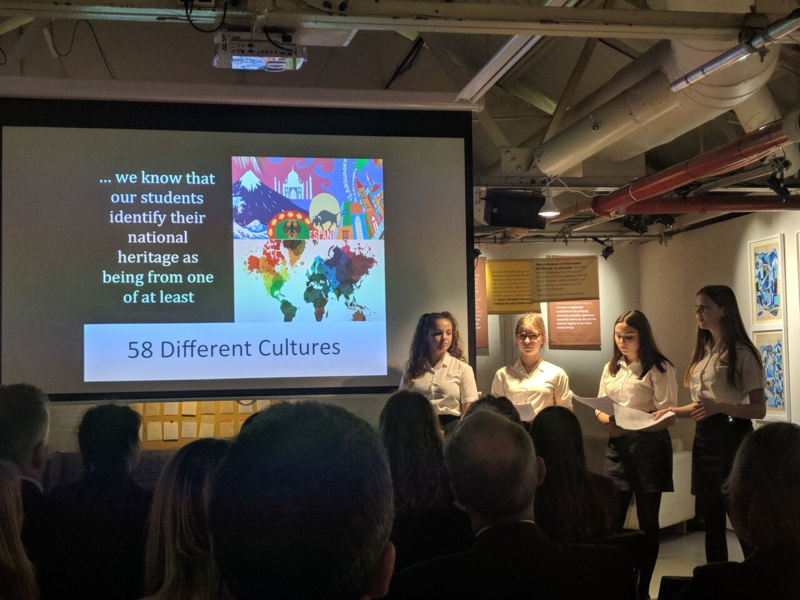 It was so pleasing for those of us at OCR and the Migration Museum Project who had created this competition to see the genuine joy on the faces of the students, parents and teachers from the winning school, but equally the recognition that all teams, whether in the final or not, got for their efforts. The evening took place at the Migration Museum’s temporary home at The Workshop in Lambeth. The excellent No Turning Back: Seven Migration Moments that Changed Britain exhibition has been designed with students in mind, and takes them on an interesting journey through seven key turning points in the history of migration to Britain. Some of the teams even went so far as to organise a day trip to London to see the exhibition for inspiration. The exhibition itself drew upon advice from author and former teacher Martin Spafford, who had helped design the OCR migration specifications and authored one of the textbooks. 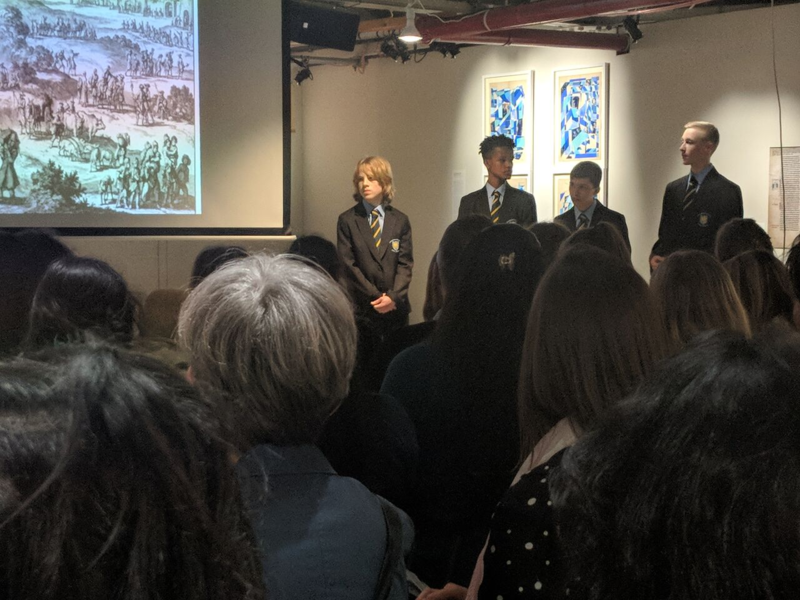 As one of the judging panel (along with OCR sales and director Chris Powley, Migration Museum Project curator Aditi Anand, and Park High School sixth-form student Neha Tavra) he asked some very probing questions which drew out the best from the students. Our hope at OCR is that future partnerships with the Migration Museum Project will give students opportunities to build on the enjoyment they have had in studying these important topics for the first time, and inspire more young people to find out about migration history, more schools to consider teaching these relevant themes, and maybe prompt society in general to recognise the valuable contribution our young people, whoever they are, can make to our public discourse. You can find out more about the OCR GCSE History courses here. And please keep an eye on both the Migration Museum Project and OCR History websites and social media accounts for updates and highlights from the winning team’s trip to New York City this summer.